There are always a few surprises on a new track with teams struggling to replicate the exact conditions they will face on a track they have never raced on before. While F1 has raced at the Autódromo Hermanos Rodríguez before, it was on a different layout, with a full Peraltada and fewer sweeping corners in the middle sector. Teams also had no information on track surface and how the tyres would behave. Matters were made worse by a damp first practice session, reducing the precious minutes cars had on track to prepare. That said, even with all the disruptions and uncertainty over the running order, what wasn’t expected was a Renault revival, with three long straights combined with the high altitude of the circuit putting a lot of stress on the engines. Red Bull couldn’t match Mercedes but they were competing with Ferrari and Williams. Good points were a real possibility but they needed the drivers to deliver. It’s rare that Daniel Ricciardo is put in the shade. The Australian is now a veteran of four and a half seasons and an established number one driver in one of the best teams in the paddock. 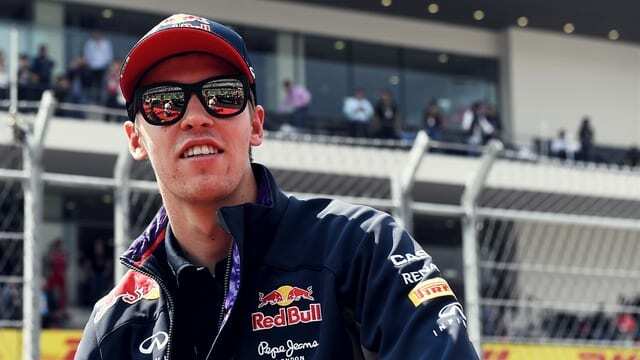 But he is going to have to fight to retain top status in the Red Bull stable, with Kvyat showing he wasn’t promoted from Toro Rosso too early and two young bucks starring in the Italian junior team. Kvyat was quicker in both sessions on Friday, posting the second fastest time in both sessions, including a wet first practice, as Red Bull showed their shock potential in Mexico. While Ricciardo was the faster Red Bull in FP3, quickest behind the Mercedes, it was Kvyat who stole the show in qualifying. Both drivers coasted through Q1 with ease before Kvyat went four tenths faster in Q2, securing his place in the shootout. Ricciardo was left to sweat on Verstappen, Hülkenberg or any of the eliminated drivers improving to progress. In the pole shootout, Dani Kvyat improved by a tenth again on his first run, which was all but matched by Ricciardo on his second run, as they were split by 0.001 seconds to qualify fourth and fifth behind the Mercedes and Vettel. Kvyat got the jump on his predecessor Sebastian Vettel off the line to run third through the first stint as Ricciardo clipped and punctured his former teammate at the first corner. Kvyat ran behind the Mercedes throughout the first stint before pitting on lap 21, with a three lap undercut to Ricciardo as Red Bull tried to fend off the early-stopping Bottas. The Finn managed to pass Ricciardo when the Aussie pitted on lap 24, but not Kvyat. Williams were dealt a slice of luck as Sebastian Vettel went off at turn seven for the second time in the race, this time into the barriers. The uncharacteristic crash for Vettel brought out the safety car and gave Williams a prime opportunity to dump their old tyres for a fresh set for a sprint to the finish, whilst also closing the gap that Kvyat had built up. Bottas used the extra grunt in his Mercedes power unit to pass the Russian on the restart, ruining Kvyat’s hopes of a second career F1 podium and he was forced to hold off his teammate and settle for fourth, building up a 3.1 second cushion throughout the final stint of the race, as both drivers struggled on fresh soft tyres that didn’t have any grip. Whilst he was disappointed not to taste champagne, it was a surprisingly good result for Red Bull in Mexico. The extra three points for fourth open up a four point gap in the battle for seventh/best of the rest in the championship in one of the tenser championship battles remaining – along with Bottas, Räikkönen and Massa separated by nine points. Remember, finishing seventh this season could go a long way to deciding Red Bull's future driver line-up. It must have been a horrendous week for Nico Rosberg, having seen his chances of the title in a dominant car officially ended, and compounded by the fact that his error handed Hamilton the title in a race Rosberg had all but won. Despite the strain of all of that, Rosberg picked himself up and put together a near perfect weekend. Rosberg made sure that he was the quickest Mercedes this weekend, setting the faster time even when Mercedes struggled in a damp FP1. 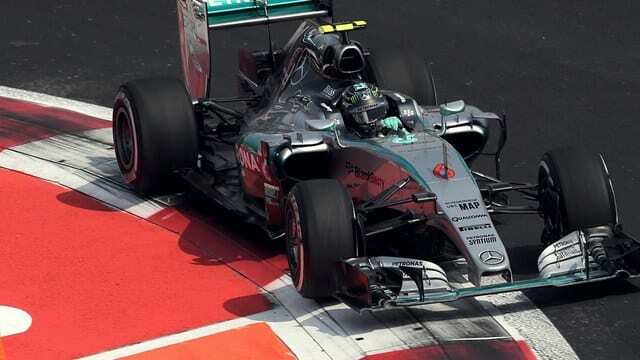 Rosberg was then fastest in FP2 and FP3. The German brought his form into qualifying, setting the pace by four tenths in Q1, before Hamilton was ahead for the only time in Q2. But Rosberg wasn’t about to let it happen again, setting the pole time by nearly two tenths as the first Q3 runs were key to setting the top end of the grid. 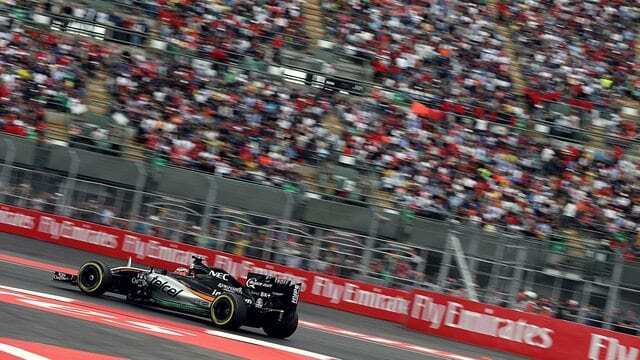 Once Rosberg had made a decent start, he was able to control the race. He was very firm and clear on his intentions going into turn one, not allowing Hamilton any chance to repeat his Austin antics. Rosberg then managed the duel perfectly, matching Hamilton for pace throughout the race, upping his game whenever Hamilton mounted an attack. With the undercut on both stops, Rosberg knew he had Hamilton covered. The only issue was Hamilton considering staying out and one stopping when the team had decided to change to a two stop. After Vettel’s crash, the gap was diminished under the safety car but Rosberg drove a measured final stint to protect a vital win, with just a single error as he ran wide at turn seven late on. Nico Rosberg needed this win and he answered his critics in fine style as he began his assault for the 2016 drivers’ crown. The big German has had a torrid second half of the season with just three finishes in the last eight, though he has earned points when he sees the chequered flag, dropping him to 12th in the drivers’ championship. While all the focus was on his teammate, Hülkenberg just wanted a solid drive and a good result. Hülkenberg qualified ninth but lost a place to Carlos Sainz during the first stint before an early switch to medium tyres on lap nine. The fresher tyres saw Nico climb through the field and he was up to seventh by the time the stops had cycled through. That said, his tyres were very second hand. Thankfully for Force India, Sebastian Vettel came to the rescue. Just as Hülkenberg started to hit the cliff, the safety car came out and he could make a 'free' stop for new medium tyres. Indeed he was right by the pit entry as the safety car was called, resulting in minimal time loss. Teammate Sergio Pérez wasn’t as lucky and had to stay out on worn tyres, fending everyone off magnificently to finish eighth. Pérez’s poor pace on old tyres meant that Hülkenberg could build a gap and consolidate a great seventh on his return to form, trailing Felipe Massa home by just four seconds.